Many vintage airplanes, aerobatic planes, cropdusters, and ultralights are taildraggers, which means there are a large number of pilots who need to learn these particular skills and techniques. 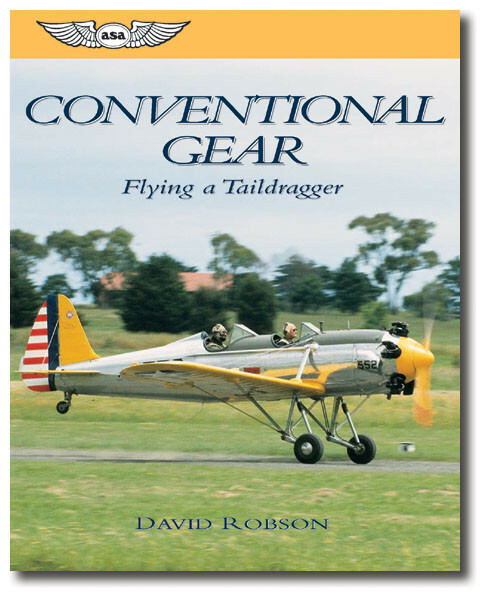 Written in plain language with many clear illustrations to explain the dynamics and techniques, Conventional Gear provides a thorough foundation of knowledge for the pilot seeking a tailwheel endorsement. It presents the combined experience of thousands of flight hours by civilian and military pilots who grew up flying airplanes with conventional gear. The original configuration of an airplane's landing gear was tail wheel. Only during World War II did the nose wheel become common, when longer runways were required for takeoff with heavy loads. After the war, the tricycle landing gear layout became standard, but the traditional arrangement has always been known as "conventional" gear. The tail wheel configuration is lighter, simpler and offers less drag. It is also better for rough-field operations. Therefore many crop dusters, aerobatic airplanes and ultralights are taildraggers. However, conventional gear does introduce more demands on the pilot, especially during takeoff and landing, and in strong winds. A taildragger is more difficult to operate on the ground because the center of gravity is behind the main wheels; it therefore tends to deviate from a straight path during taxi, takeoff and landing. Because taildraggers demand more piloting skill, flying one well is a sign of a good pilot. If you want to fly a warbird, antique or a modern airplane with conventional gear, this book tells you how in a simple, clearly illustrated manner. It begins with the theory and dynamics of a tail wheel airplane, then describes the piloting techniques needed to safely fly a taildragger. The book concludes with a fascinating collection of stories about what it is like to fly some of the common and not so common airplanes with conventional gear...stories by old hands that otherwise could only be found in a good session of hangar flying.